By Christian Takushi MA UZH, 8 Oct 2017 – Switzerland. 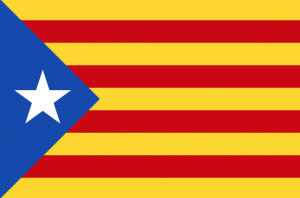 Putting the current crisis in Catalonia into historical and geopolitical perspective. The Catalonian Crisis is affecting Spain, the EU and may be reaching as far as the Middle East. It has come at a vulnerable moment on the global geopolitical landscape. The violent repression by the Spanish national police (Guardia Civil) and the helpless response by the EU last week is adding momentum to the euro-skeptic movement of Mr. Andrej Babis to become the next Prime Minister of the Czech Republic. Many Czechs are now demanding the return of sovereignties from the EU. As I have maintained since 2016, those anti-EU movements are on a secular rise, but unable to seize power in the two key EU engines: France and Germany. As a result they are rather forcing the EU to veer to a more liberal stance. The fact that Brussels is not seen as a credible mediator speaks volumes. Nevertheless, while Catalonia has the world’s sympathy, it faces an uphill battle: No outside power is offering a hand and Catalonian leaders are understandably not willing to risk a war. Yet, that is sadly what it normally takes for a ruling power to cede control over a strategic territory. Thus, the political will has to be followed by military will or at least a military shield. Many observers say that the move may fail, because Catalonians are not united. But in political-military history, that is not a necessity. Not all Americans were willing to go to war against the British empire, but those who did followed more than just a political idea and were willing to die for it – and they prevailed. Madrid has the law on its side. But most great moves of independence were illegal and unconstitutional. Freedom fighters in Argentina, Peru or the USA had to be willing to fight a bitter war and to die for the cause. Off touch with the changing political realities, the Spanish and British Crowns saw those bids for freedom as challenges to the rule of law and order – thus, they fought mere rebels and criminals. Fast forward: Why is the EU so hesitant? The rationale of EU leaders a decade ago is now a hinderance for them; “Kosovo shouldn’t be denied independence, because the central government in Belgrad is clearly unlikely to change the constitution. The Free Will of a people is to be upheld over the constitution“. Our current geopolitical analysis shows that Kurdistan and Palestine are accelerating their push for independence, because now is the best chance in years. A window of opportunity has opened: IS has been pushed back militarily, but the US-Iran stand-off is about to be rekindled. Yet not one single factor can trigger a geopolitical move of course. The increasingly assertive positions of the US and Russian administrations play a key role. The EU is involved in the Middle East and will have an important say on both Kurdistan and Palestine. Russia can afford to abstain or support on Kurdistan and Palestine; and Germany could sway her growing strategic ally China. The PA and Hamas leaderships are working under tremendous time pressure to advance unity and peace talks via the Trump administration. We have seldom seen this before. Both factions seem to see the historical chance of a peace deal or some significant progress under Trump – i.e. that Trump could convince the Jewish government and parliament to make concessions. Military analysts aren’t surprised by Israel’s reaction: It is being increasingly seen as supporting the Independence of Kurdistan, most likely because Kurdistan offers Israel a moderate buffer against Iran. This could be a sign that Israel might be willing to accept a somewhat independent Palestinian state if it can get assurances on an independent Kurdistan on Iran’s flank. A tolerated rather than internationally sanctioned free Kurdistan cannot be ruled out either. That would work as a powerful deterrence against Iran. But one I ascertain can only delay a war with Iran; a war Saudi Arabia and Israel are bracing for. Palestine is smartly forcing Israel to choose: While a free Palestine raises the fears among Israelis of more terror attacks, Iran raises their fears of a nuclear holocaust. Ideally Palestine would like to get a two-state peace process going before Catalonia’s bid for independence is shattered. If successful even better. After 6 months of positioning herself as the new bedrock of global stability the global convergence of geopolitical trends is closing in over Europe. The crisis of Catalonia has put the EU under pressure and Brussels looks helpless. There are ethical, political and geopolitical aspects to this current moment of weakness. Timing is really bad for the EU, as EU leaders thought they had the United Kingdom “in the bag”. One day after the Barcelona showdown, London hardened its position versus the EU – and it makes sense for the UK. The Spanish crisis has somewhat helped Mrs. May survive her Party Plenum in Manchester.